Monster Truck Throwdown invades the Big County Speedway in Cheyenne, Wyoming July 7-8! Featuring 2-Time World Champion Jim Koehler and Avenger! 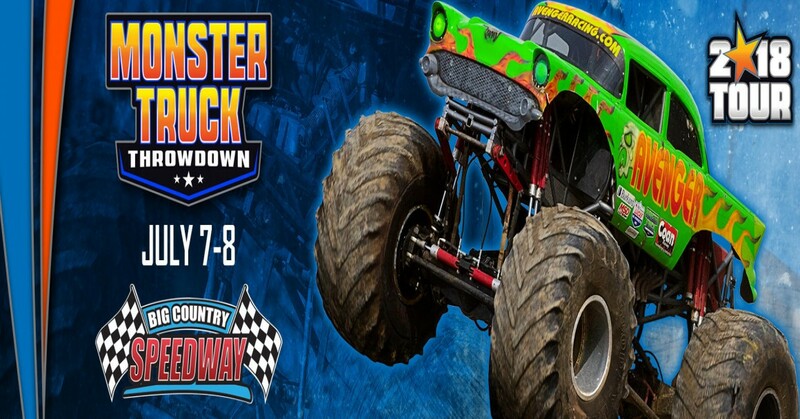 Monster Truck Throwdown invades the Big County Speedway in Cheyenne, Wyoming July 7-8! Featuring all new monster truck superstars including 2-Time World Freestyle Champion Jim Koehler and Avenger, Brutus, Dragon Slayer, Axe and Rage! Plus tough truck racing and a chance to take a ride on a real monster truck! Come early and meet your favorite drivers at the Pit Party! SATURDAY, JULY 7 - Pit Party at 5, Engines Fire at 7! SUNDAY, JULY 8 - Pit Party at 12, Engines Fire at 2!